Please consider donating to Toronto Pig Save. TPS is a grassroots group which runs its campaigns with the help of generous donors. Help spread compassion! Please consider making a monthly donation and help make our campaigns sustainable! 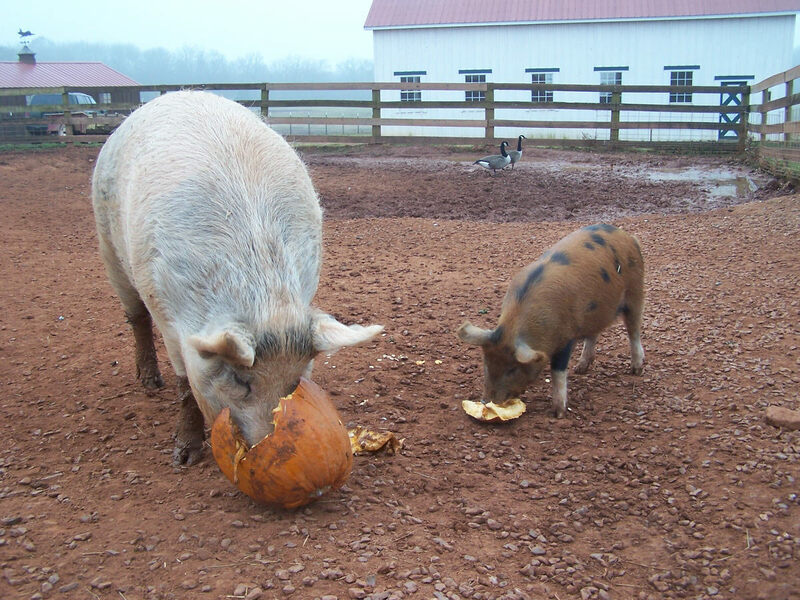 Little Isaac joins another pig enjoying pumpkin at Popular Springs Animal Sanctuary. Photo by Jamie Cohen.